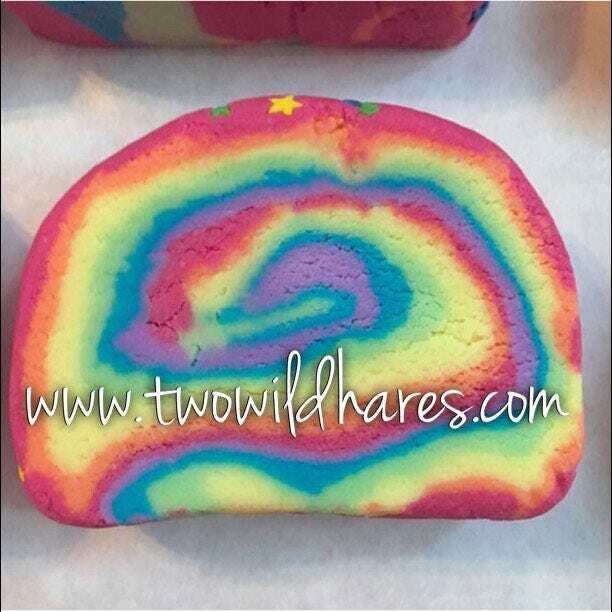 This listing is for a wholesale order of 25 Unicorn Poop bubbly bath bars or any bars with 3 or more colors. Lead time for them to be ready to ship is 2-3 weeks. They can come with star sprinkles on top or we can leave them off. 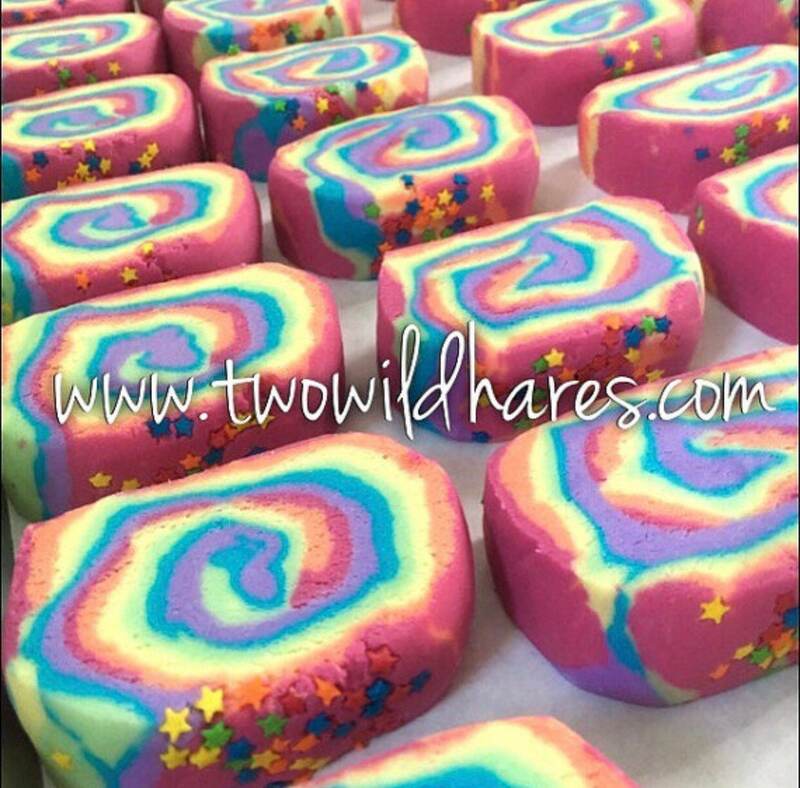 Wholesale bubbly bath bars come shrink wrapped and unlabeled. We will give you a sheet with the ingredients used so you can make your own labels. OR, we can make label these with our current Unicorn Poop label for 0.25 more per label. Minimums for wholesale orders are $250 in combined items. UNICORN POOP is a custom blended scent of cherries, berries, tangerine & lime! 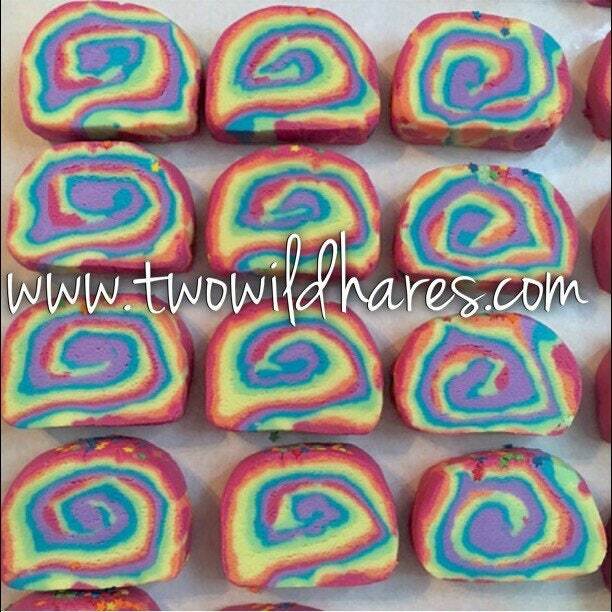 These bars are bright & fruity & rainbow colored. 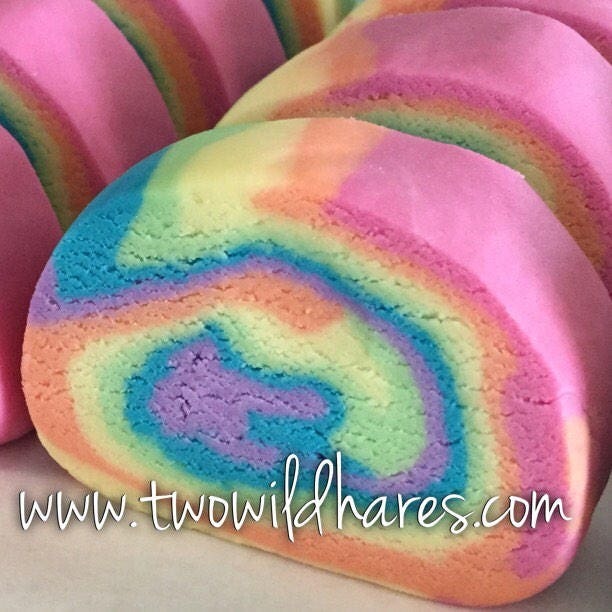 What else would you expect out of unicorn poop? These are a best seller for us and we can hardly keep them in stock! This bar is 3.5 oz, enough for 2-3 baths. INGREDIENTS: Baking soda, lathanol, glycerin, cream of tartar, tapioca starch, raw cocoa butter, phthalate free fragrance oil, polysorbate 80, mica, titanium dioxide, chromium green oxide, manganese violet, iron oxide, ultramarine blue. To use: Break off a piece of the bar and hold under warm, running water, right when you turn on the tap. 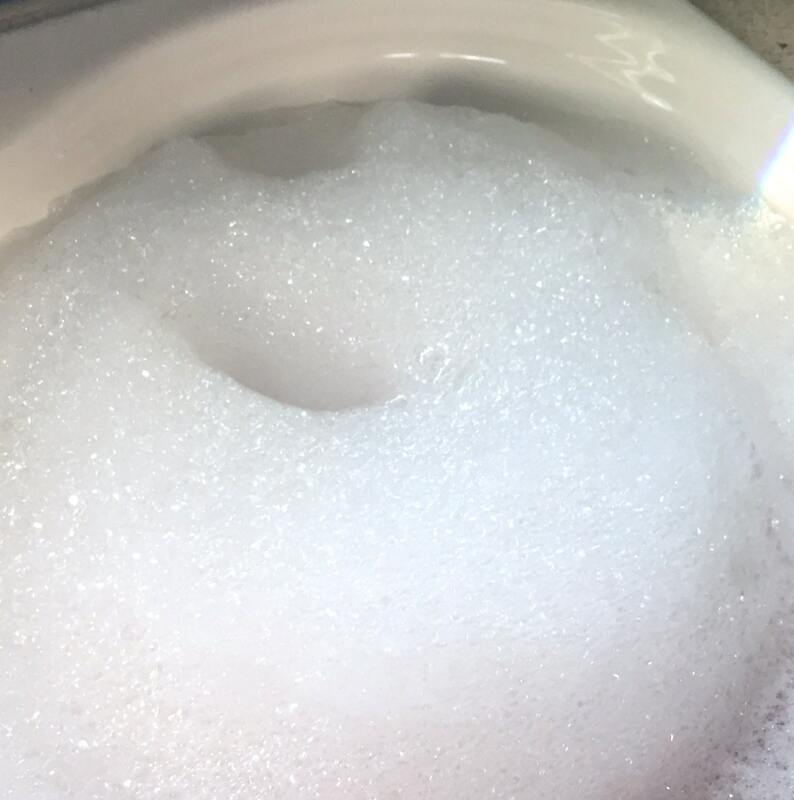 The longer your water runs over it, the more bubbles you get. 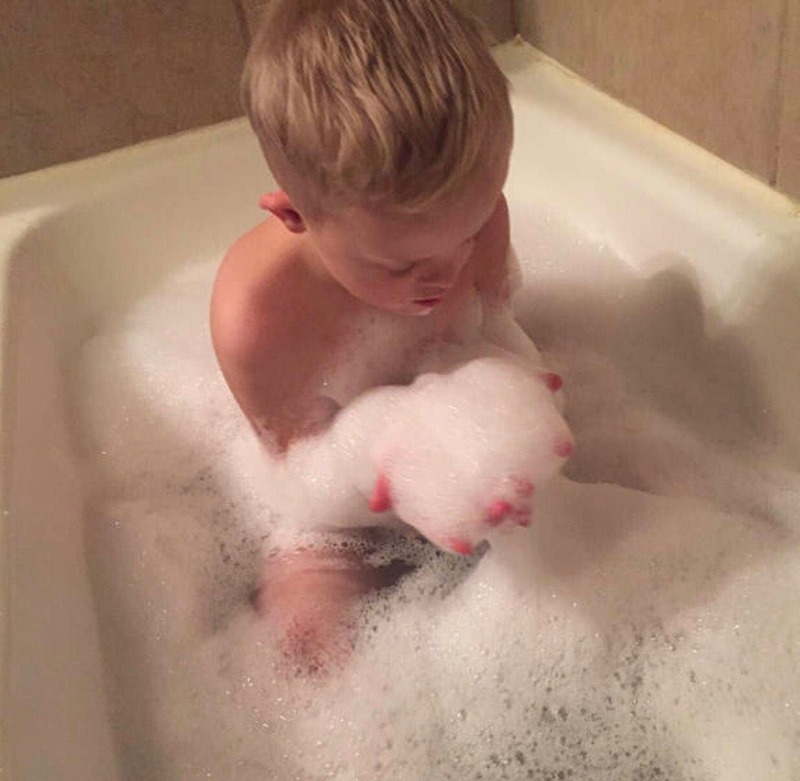 Relax and enjoy your bubble bath! *Unicorn Poop is a legally trademarked name owned by & used with permission by Spicy Pinecone, LLC.